SONA expected to focus on land, corruption - SABC News - Breaking news, special reports, world, business, sport coverage of all South African current events. Africa's news leader. President Cyril Ramaphosa will deliver the SONA on Thursday. 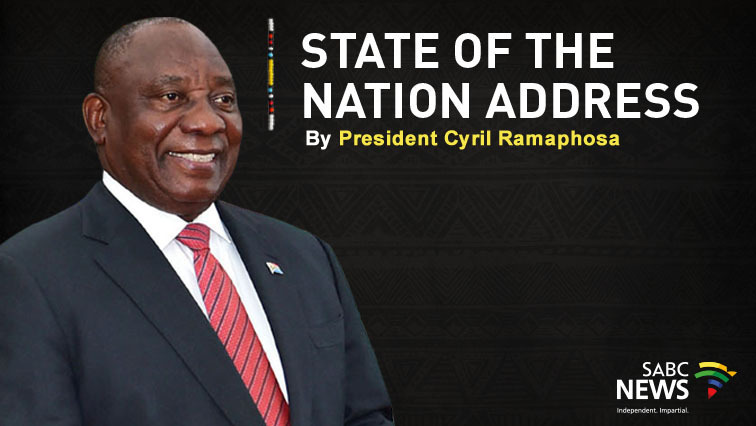 The State of the Nation Address (SONA) is expected to focus on a number of issues including land, corruption, investment and economic growth. President Cyril Ramaphosa will present his second Sona on Thursday evening at seven o’clock. Economists say the President is likely to maintain the theme of his party, the African National Congress’ election campaign which is aimed to attracting foreign investment and getting domestic companies to start to invest again. President Ramaphosa is expected to outline some of the progress made since taking office last year. His list of main achievements includes measures taken to stabilise management at Eskom coupled with investment and the job summit. The conclusion of the Mining Charter will also add some silver lining to Ramaphosa’s months at the helm of the country. The President is likely to update the nation on his package of measures put together to stimulate the economy. “There will be references to various initiatives that the President is looking into through his infrastructure commission, throught different policies to get investment. But the level of details in Sona can be limited,” says Economist at PNB Paribas, Jeff Schultz. On the other hand, many challenges that the country is facing could take a lion’s share of the President’s speech. It is widely expected that Ramaphosa will continue with his attempts to calm the nerves of most land owners and investors on the land question. But it is unlikely that the President’s on-going balancing act will not immediately take away the fear among many commercial farmers who are land owners. However, emerging black farmers want the President to move fast on the land issue. “The issue of land reform is still top of our list, a lot our people are still don’t have land – the president must address this issue,” says National Emergent Red Meat Producers’ Organisation Aggrey Mahanjana . Agri SA has called on Ramaphosa to be crystal clear on the land question. “We need to have policy certainty on the land issue, there must be clarity in terms of how government foresees the implementation of any policy change or constitutional change,” says Agri SA Deputy Executive Director, Christo van Rheede. Some small business owners want the President to allocate more resources to crime fighting. Business robberies and break-ins are threatening the viability of many small businesses. Earnest Kgonyane is among many business owners that crime has affected. The President is expected to announce additional measures to support and grow the local economy. This entry was posted on 06 Feb 2019,09:41PM at 9:41 PM and is filed under SONA, Business, News, Homepage Featured Story Slider. You can follow any responses to this entry through the RSS 2.0 feed. Both comments and pings are currently closed.